Ketamine is attracting increasing research interest not only because of its powerful amnestic effects but also as a putative model of schizophrenia and as a substance with an expanding following of recreational users. This article reviews the existing literature on the effects of acute ketamine on the memory of healthy volunteers and of repeated doses of ketamine in recreational users. 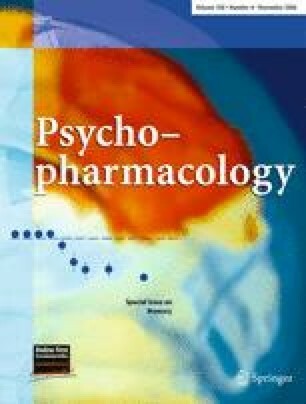 Although there have been relatively few, often methodologically diverse, studies to date of the mnemonic effects of ketamine, there is an emerging consensus that an acute dose of the drug impairs the manipulation of information in working memory and produces decrements in the encoding of information into episodic memory. Preliminary evidence suggests that ketamine may differ from other classic amnestic drugs in impairing aspects of semantic memory. Acute-on-chronic effects in ketamine users generally mimic the pattern seen in controlled studies with healthy volunteers. However, chronic ketamine use may be associated with a more specific pattern of memory decrements and with episodic memory impairment, which might not abate following cessation of use. An important aim of future research should be to detail the specificity of ketamine’s amnestic effects on both a neuropharmacological and a cognitive level. This work was supported by a Medical Research Council to HVC (UK) Studentship to C.J.A. Morgan and by an Economic and Social Research Council.